Super exciting news! HBC is in the house! 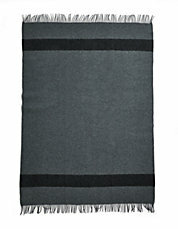 We are now stocking the iconic Caribou Throw in cream/multi-stripe and charcoal - made in England from 100% wool. Also in stock are merino wool baby blankets, children's caribou sweaters and a few adorable little knit toys that even adults will love!